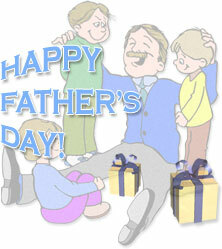 Fathers Day animations and clipart images. Fast cars and lots of love for dads day. Happy Father's Day! Nothing says Happy Fathers Day like a sports car. Happy Father's Day To A Beary Special Dad with glitter animation. 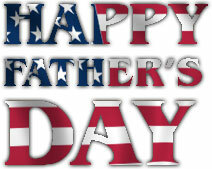 Happy Father's Day in red, white and blue. 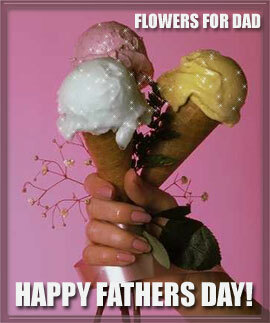 Flowers for dad, also known as ice cream. 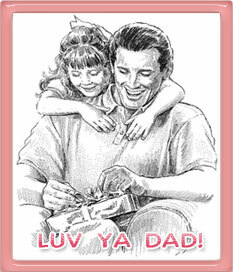 Luv You Dad with gift. 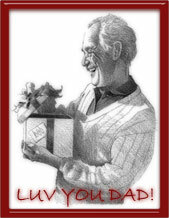 I Love You Dad with lots of hearts, animated. Dad surprised by his kids. 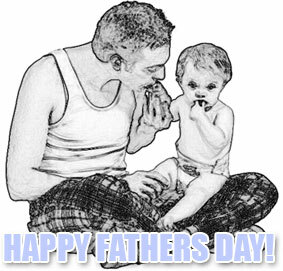 Happy Father's Day in red and blue with animation. 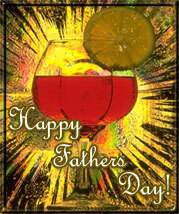 Fathers Day 3D PNG green gradient with front reflection and transparent background. To you on Fathers Day. Panda bear with I Love Yu Daddy! Happy Father's Day in blue, red and yellow. Happy Father's Day from your son animation. 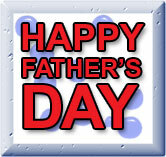 Happy Fathers Day code for Myspace, HI5, websites and others. 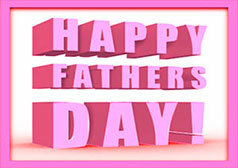 Fathers Day blue gradient with stroke animation. 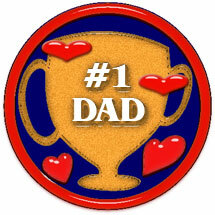 Number 1 Dad with golden cup and hearts. Father and son spending time together. Luv Ya Dad says it all.